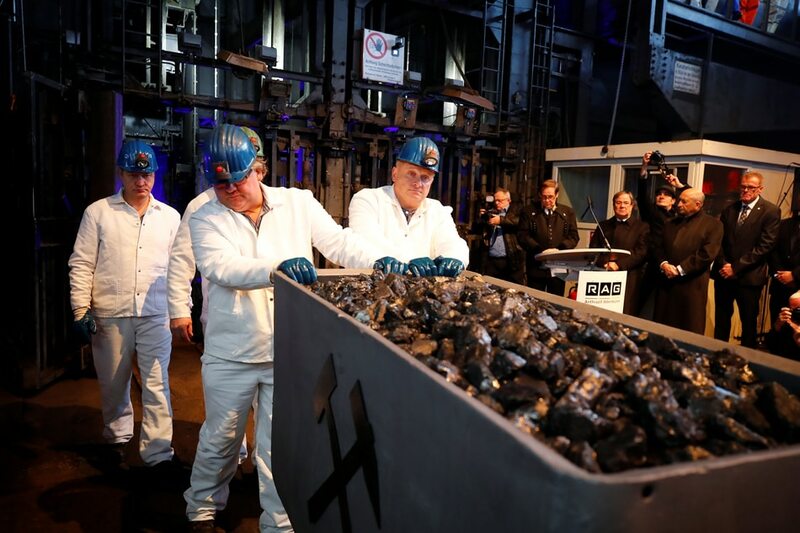 BERLIN - After more than 150 years, Germany's last black coal mine will close in the Ruhr region, posing a gigantic geological and environmental challenge to the former industrial heartland. The Prosper-Haniel mine's galleries were painstakingly excavated over decades by workers with pickaxes and later pneumatic drills. Within around 10 years, the galleries more than 600 meters below the earth will fill up at least partially with groundwater. RAG will drain and pump this water as part of its "eternal task" as the owner. "If this system of 'eternal tasks' did not exist, 80 to 100 years from now the water would rise and two-thirds of the Ruhr region would be flooded," the professor and hydraulic engineer in charge of the project, Andre Niemann, told AFP. The water found in mines is particularly acidic after trickling through a kilometer of underground sediment, and contains more salt than seawater. Hence the requirement for RAG to constantly pump it away -- as well as treating it before it can be diverted into a river like the Rhine. "There is a study to determine the concentration (of PCBs) and how dangerous it is," Niemann said. "A plant for treating it has already been set up," he added. "As long as the water is regularly pumped out, there's no risk of subsidence or flooding" in areas above the pit, Niemann said. And so-called "firedamp" methane explosions are unlikely as long as the galleries are sealed away from the open air. "The gigantic concrete blocks we poured to close the tunnels are designed for this, so even if there is an explosion they won't budge," the engineer said.